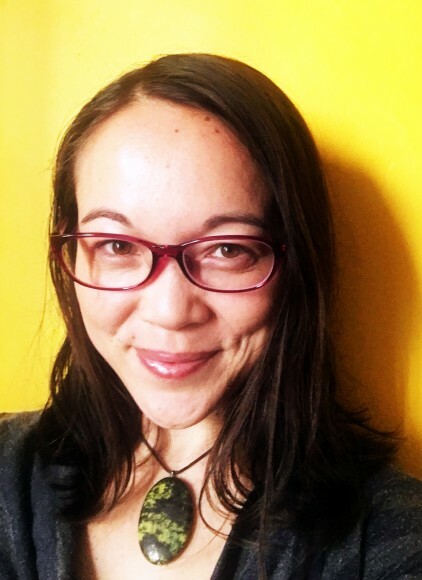 Sam Chanse’s plays and theater work include The Other Instinct, Fruiting Bodies, What you are now, Lydia’s Funeral Video, gilgamesh & the mosquito (with composer/collaborator Bob Kelly), about that whole dying thing, and Asian American Jesus (with director/collaborator Yasmine Gomez). She is a resident of New Dramatists, Rita Goldberg Playwrights’ Workshop Fellow at The Lark, and member of Ars Nova’s Play Group and Ma-Yi Writers Lab. A Sundance/Ucross Playwright Fellow, MacDowell Fellow, and Playwrights Realm Writing Fellow, she has also received residencies from Djerassi, Tofte Lake Center, SPACE at Ryder Farm, and the Lark. Her work has been recognized by The Kilroys (Fruiting Bodies: 2015 List and 2014 Honorable Mention; The Other Instinct: 2016 Honorable Mention). Commissions include Ensemble Studio Theatre/Sloan, Ma-Yi/the Flea, Second Generation, Leviathan Lab and the San Francisco Arts Commission. Her first solo play, Lydia’s Funeral Video, is published by Kaya Press. She is an alumna of the Lark’s New York Stage & Film Vassar Retreat, Meeting of the Minds, and Playground, and of the Civilians R&D Group; her work has also been developed with The Yale Institute for Music Theatre, The Claque, Labyrinth Theater, Ars Nova’s ANT Fest, Bindlestiff Studio, Asian American Theater Company, and the New York International Fringe Festival. Her play The Other Instinct was a semifinalist for the O’Neill, she was a finalist for the BAPF, and a semifinalist for the P73 Fellowship. MFA playwriting: Columbia University; MFA musical theater writing: NYU. Before moving back to New York, she served for some years as artistic director of San Francisco-based multidisciplinary arts nonprofit Kearny Street Workshop and co-director of Locus Arts; during that time, she was also developing work as a standup comic, songwriter, and solo performer. She is a writing consultant at Columbia University’s Writing Center, where she taught undergraduate writing. She’s also led playwriting and other workshops at assorted nonprofits, colleges, and high schools.